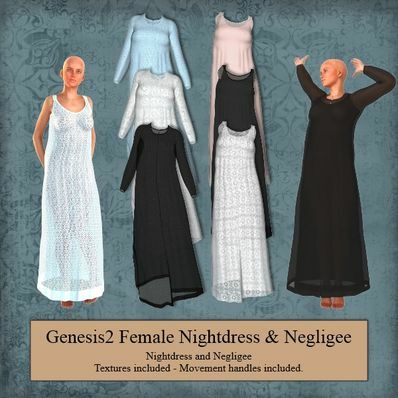 A Nightdress and Negligee for Genesis for use in Daz Studio 4.6. Several textures Included. Movement handles included. Thank you for allowing us to benefit from your talent!